United States President Donald Trump encouraged citizens to participate in the Women’s March on Saturday to mark achievements in his presidency and low female unemployment for an event protesting oppression and advocating rights. The rally’s first annual event a year ago was a global protest to advocate legislation and policies regarding human rights and other issues, including women and minority rights, racial equality and workers’ rights. 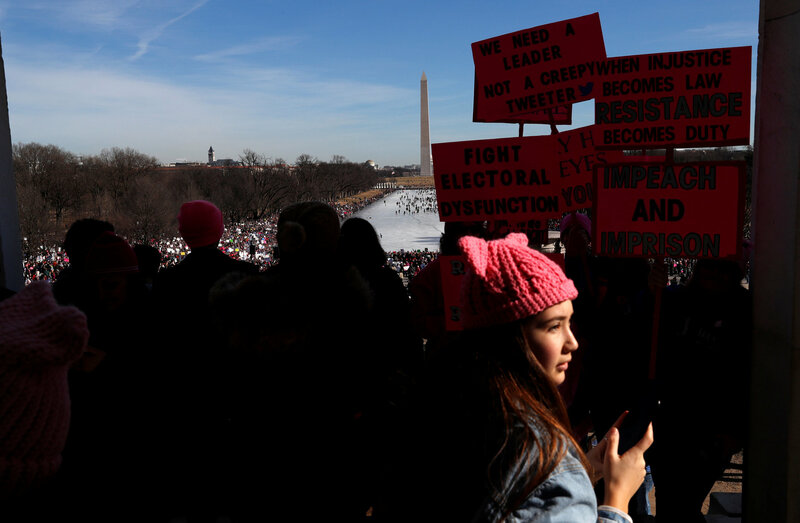 Most of the rallies held in the U.S. last year were largely directed at the incoming president as he was inaugurated, in protest against statements and positions that Trump had taken that many regarded as offensive or discriminatory against women. The march also promotes advocacy for immigration reform, healthcare reform, reproductive rights, the natural environment, racial equality, and freedom of religion. Mr. Trump appeared to celebrate the demonstrations despite the nationwide protests having a clear theme of being against his presidency. “Get out there now to celebrate the historic milestones and unprecedented economic success and wealth creation that has taken place over the last 12 months,” he wrote. According to U.S. Bureau of Labor Statistics data, the unemployment rate for women aged 20 and older has been falling steadily since 2012, years before Trump took office. The rallies are also being held just hours after the U.S. government shutdown following a failed vote by the Senate to pass a temporary spending bill to keep federal agencies funded. 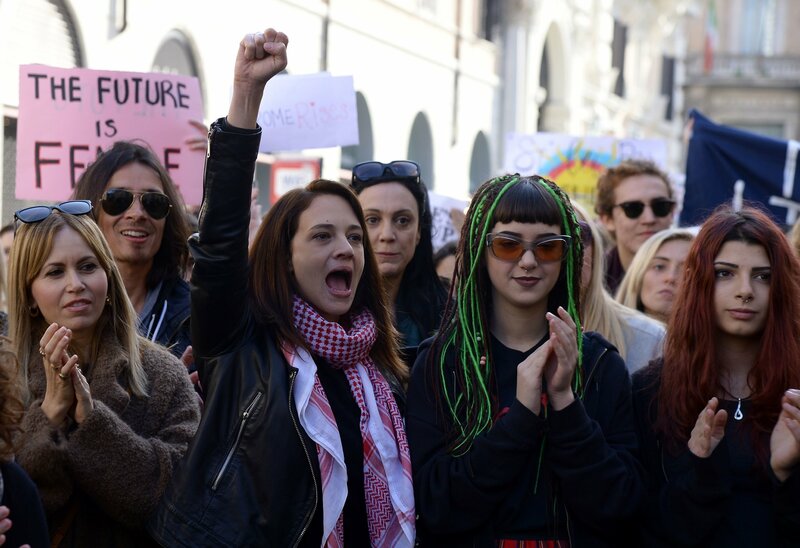 Italian actress and director Asia Argento, sporting a scarf, joins the Rome Resists rally / AFP. The Women’s March takes place on a global scale on Saturday and Sunday, with rallies on every continent, and in nearly every major North American city as well as several locations in western Europe, Africa, South America, Asia, Oceania and in the Middle East. The capital of the Iraqi Kurdistan Region, Erbil, is the only planned location for a Women’s March rally in the Middle East, according to its official event list. Image of rally in Washington, D.C. from Reuters. State-lovers will often say that taxation is justifiable because of the benefits we receive, but their fallacy-ridden argument is wrong. With the President firmly on the side of life, there is a new future ahead for the pro-life movement. Trump was gaslighting with his comment. It’s what we should expect from him.